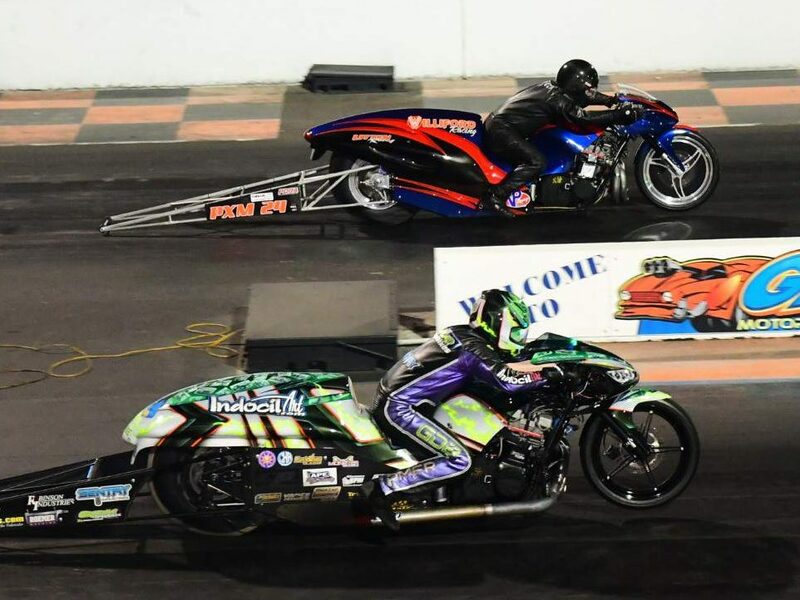 Competitors from the Tar Heel State nearly swept the Professional Drag Racers Association (PDRA) East Coast Spring Nationals as Jay Cox led a host of fellow North Carolinians into the winner’s circle at GALOT Motorsports Park. 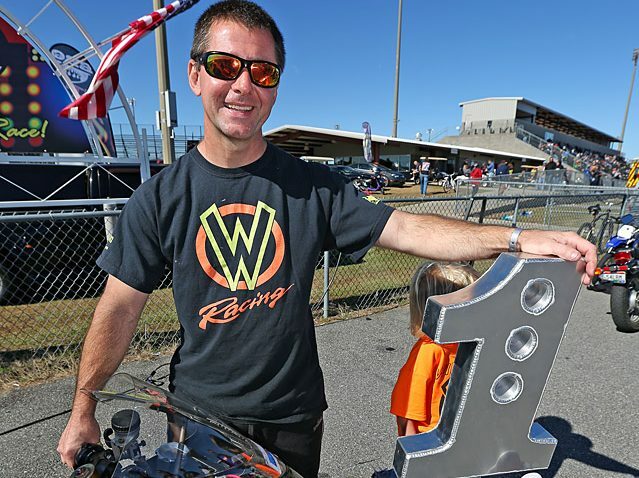 Pro Extreme Motorcycle rookie Rodney Williford came out of the gate swinging came out of the gate swinging as he rode his nitrous-assisted Williford Racing ’04 Suzuki Hayabusa to a 4.063 at 177.23 in the final round over multi-time PDRA event winner Brunson Grothus and his troubled 7.50 at 57.93. Williford, a star in the Pro Street scene, had never raced a motorcycle with wheelie bars or a big tire before a prerace test session. Williford qualified No. 5 in the 16-motorcycle field and charged to 4.0-second passes over Burke Forster, Tommy Saxon and Terry Schweigert. Grothus qualified No. 2 aboard his Indocil Art Hayabusa and was unopposed in the first round before recording a pair of 4.02s to take down defending world champion Travis Davis and Ronnie Smith.